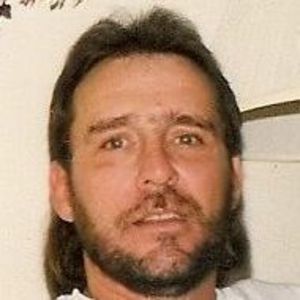 CENTRAL CITY - Marcus Lynn "Moon" Edwards, 59, of Central City, died Sunday, May 29, 2011 at his home. Mr. Edwards was born May 25, 1952 in Muhlenberg County. He was a construction worker and member of Church of Christ in Central City. He was preceded in death by his father, Bernard "Buck" Edwards Sr. Survivors include his mother, Helen M. Edwards of Central City; brothers Bernard "Bucky" (Connie) Edwards Jr. of Central City and Shawn R. Edwards of Central City; sister Susan Marie Neal of Lawton, OK; nieces and nephews Leslie Neal (Fred) Robinson of Lawton, OK, Hollie Neal (Kyle) Payton of Central City, Jennifer Neal of Central City, Shannon (Gary) Lile of Central City, Shane Edwards of Central City, and Tonya (Troy) Boggess of Greenville; and 11 great-nephews and nieces. Funeral services will be Wednesday, June 1, 2011 at 2:00PM at Tucker Funeral Home with Mr. Bob Edlin officiating. Burial in Fairmount Cemetery. Visitation will be Tuesday after 6:00PM at the funeral home. Online condolences may be made at www.tuckerfuneralhome.com. I was so sorry to hear of "Moon"'s passing. He and I talked about his belief in God. I trust he is in his care now. He was always helpful with what Mother needed after Charles death. I thank him for that. Words of comfort are so hard to receive when you are hurting as I know all of you are. My prayers are with you and I will light a candle for him at mass. May his soul be at rest. May God comfort you and give you peace. We graduated from CCHS-1970.Lynn was a good friend & always fun to be around. I'm sorry that he left us so early.Prayers are with you all. Sorry to hear that Moon has left us! Went to mining school with him. We grew a part after I move away. Shawn I know from all tha sports in county. I know there are no words that will take away your grief and sorrows, just keep the good memories you have! May God bless and be with all!